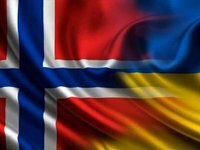 Norway's Ambassador to Ukraine Ole Terje Horpestad and representatives of the Norwegian Refugee Council visited Luhansk region and familiarized themselves with the work of the repaired entry/exit checkpoint Stanytsia Luhanska. "Within the framework of certain events, the foreign delegation made a trip to the only entry-exit checkpoint in Luhansk region, Stanytsia Luhanska," the JFO said on Facebook on Wednesday. Serhiy Sokolovsky, First Deputy Head of the Lysychansk Border Detachment from the JFO, told the guests that, thanks to international cooperation, the checkpoint was reconstructed, which increased the number of workplaces to check passport documents and significantly speed up access operations, thereby reducing the accumulation of people in front of the checkpoint. In addition to improving the conditions for crossing the disengagement line by citizens, this has made it possible to increase their security and reduce the time required for passing control procedures. At the same time, border guards prevent weapons, ammunition and explosives from the temporarily occupied territory, which can be used as a basis for preparing and committing terrorist attacks on the peaceful territory of Ukraine. "Representatives of the delegation familiarized themselves with the order of crossing the disengagement line, the level of passenger traffic and the peculiarities of the work of this checkpoint of entry and exit as a whole," the message said.